Pure Tung oil is a drying oil that’s extracted from the seed of the tung tree, which is native to China and a few other Asian countries. The oil has been used for centuries as a water-resistant finish for boats and other wooden objects, as well as to finish stone. Pure Tung oil is an excellent alternative to other drying oils, such as walnut, linseed, soy, and others. On top of producing a beautiful and protective finish, tung oil is also a popular choice for projects because it’s versatile, easy to use, and environmentally friendly. If you want to know more about tung oil and how to use it, then you’ve come to the right place! There are many reasons why people love tung oil for their projects, and one of the most popular is its flexible, durable, food safe, and protective waterproof finish that doesn’t mold, darken or go rancid. On a practical note, tung oil also dries faster than other oils, making it easier and less time-consuming to apply. From an aesthetic standpoint, tung oil also cures to a beautiful matte finish that adds depth to woodgrain, producing an antique-style finish on any surface. As the name suggests, the pure tung oil is free of additives and distillates, meaning it doesn’t create a glossy or heavy finish. Pure tung oil dries to a honey color. The only difference with dark tung oil is that we’ve added a non-carcinogenic and PCB-free resinous hydrocarbon that gives the oil a darker and richer finish. Carpenters, woodworkers, crafters, and hobbyist alike all love tung oil, and over the years they’ve used it as a beautiful and protective finish on a wide number of projects and surfaces. For instance, tung oil has been used with fantastic results to finish wood, bamboo, concrete, stone, brick, and even metal surfaces. Tung oil is a favorite for finishing wood floors, cabinetry, decks, siding, furniture, guitars and other musical instruments, handmade toys, and more. If you’re wondering if it’s the right wood oil for your project, it probably is! How Much Do You Need for Your Project? A gallon of tung oil will cover 400 square feet of surface. Depending on how porous the surface is, you could need up to 5 coats. To cover a 400-square-foot area, for instance, you would need a little over 2 gallons each of oil and solvent (for thinning) or 5 gallons of our pre-thinned options. The proper application of tung oil depends on you starting with a clean and properly prepared surface. Before you start, make sure there’s no grease, oil, dirt, dust, or other contaminants on the surface. If necessary, start by sanding or stripping the surface to remove any coating or finish that’s already there. Tung oil can only be applied to bare surfaces or over another coat of tung oil. Follow that up by cleaning the surface with trisodium phosphate. Sand the surface one more time with 150-grit sandpaper, and then vacuum well to remove all dust. A thinner will make the tung oil easier to apply, faster to dry, and will improve penetration. The only time you shouldn’t thin the oil first is if you’re applying it to weathered wood, concrete, old and unfinished wood floors, or other highly absorbent surfaces. To thin the oil, combine it with equal parts Citrus Solvent, mineral spirits, or Odorless Mineral Spirits before application. Or choose one of our pre-thinned options, Half & Half or Dark Half, to use straight out of the bottle! You can apply the oil with a natural bristle brush, a sponge brush, or a soft and lint-free rag. Apply the oil liberally to the surface. Unlike varnish (which sits on top of the wood), the goal with tung oil is to thoroughly saturate the wood cells. When you’ve applied the first coat, let the oil absorb. After the first coat has absorbed, apply a second coat. Continue this process of applying coats, waiting 40 minutes between coats if necessary, until over 80 percent of the surface stays glossy for at least 40 minutes. This means the wood cells have been saturated and you can move to the next step. Decorative items may need two to four coats, while functional surfaces that will be handled, used, or walked on will need a minimum of three to five. 5. Removing unabsorbed oil from the surface. After you’ve applied multiple coats and the wood won’t absorb any more oil, use a clean rag to wipe the surface. If there are any puddles of oil on the surface, mop them up with the rags. This is important as you don’t want the tung oil to start curing on the surface. At this point, your surface is fully saturated. However, the pure tung oil will settle inside the wood/material overnight on through the next day. To get the best finish we recommend applying one or two more coats of the oil, following the instructions previously stated, after this period of waiting. Make sure to wipe up oil that’s on the surface that does not absorb. Hang oil-soaked rags separately outside to dry before disposing of. From here, the oil will need a week to 10 days to start curing, and 15 days to 30 days to fully cure. Do not put the tung oiled object in direct sunlight for an extended period of time. For the first 10 days of curing, check and wipe up and tung oil that may seep to the surface. Wipe During this curing time, you can walk on floors with clean shoes, but avoid placing heavy objects on the floor or walking on it with dirty shoes. (Tip: put old rags under your shoes to walk across the surface no matter what shoes your wearing.) There is no other sealers or protective products needed on top of your oil. It naturally seals, waterproofs, and protects your surfaces! Pure tung oil is easy to clean! For your floors or other wooden objects, just simply use hot water and standard dish soap. That’s it! Surfaces that are used often or walked on frequently may need some maintenance to revive their look and add more protection. To do this, simply mix 2 parts thinner to 1 part tung oil and wipe down your surfaces. Allow time to dry as necessary. Pure Tung oil has been popular for thousands of years, thanks to the protective and waterproof finish it creates on wood and other porous surfaces. These days, pure tung oil is also gaining momentum because it’s non-toxic, environmentally friendly, and food safe, meaning it’s ideal for kitchenware, butcher block, cutting boards, countertops, and even toys! Applying tung oil is easy and effective! The main tips to remember are; starting with a clean surface, don’t leave excess oil on the surface during the curing phase, no sanding necessary between coats, no other sealer or topcoats needed and for maintenance use 2 parts thinner to 1 part tung oil! 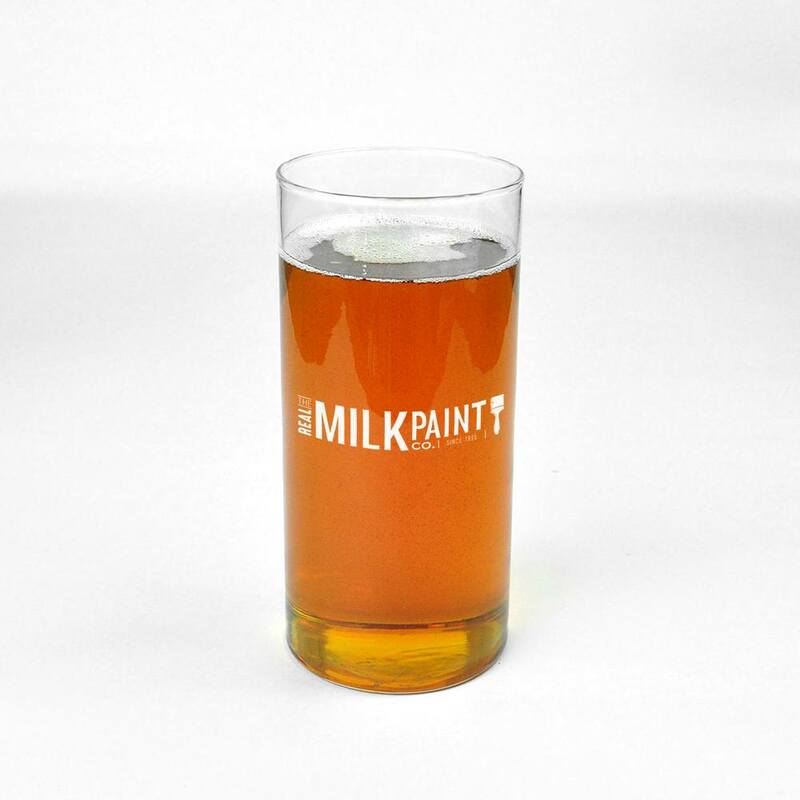 For more information or to buy Pure Tung Oil visit Real Milk Paint online or call us at 800-339-9748.